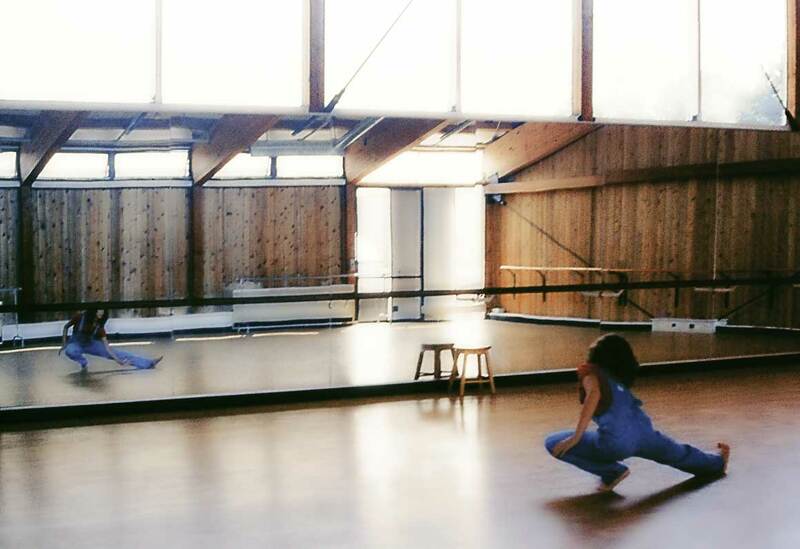 I really liked the dance studios at Bennington college when I saw them. I was pretty young then, so I don’t feel any confidence in my judgment. Still, they struck me as a great space for the purpose for which they were intended. The clerestory windows filled the space with light without having windows get in the way of workspace. I’ve always been fond of clerestory windows. I took a few pictures of my sister. The focus wasn’t meant so much to be on her as on the space itself. Although so much of architecture is about creating space, it’s very hard to communicate the feeling of being inside a space in a photograph. At least I’ve found it hard. It’s easier to photograph the exterior of a building, treating it like a form of sculpture. I wanted my sister to move about the space while I photographed because it was the space’s functionality that I enjoyed. Unfortunately, I was a pretty inexperienced photographer and the photo is more than a little underexposed. I’ve been able to correct it somewhat in Photoshop, but the result is a little grainy.